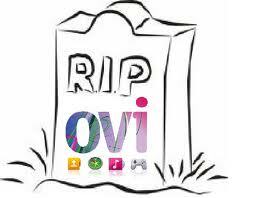 In a surprising but smart move, Nokia have announced that they are losing the “Ovi” brand and choosing to focus on all services being wrapped under “Nokia Services”. After the announcement of the Micrsoft-Nokia partnership many of us predicted that there would be an adjustment or aligning of branding to accomodate the new OS shift. It will be interesting to note what other services and technology will get a Microsoft-treatment in the next few months.